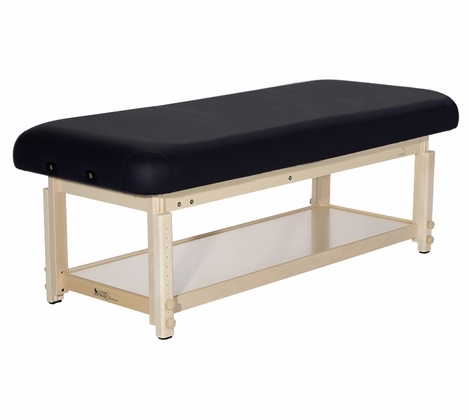 Looking for a basic stationary massage table with all the features you need? The Aura Basic Table delivers. 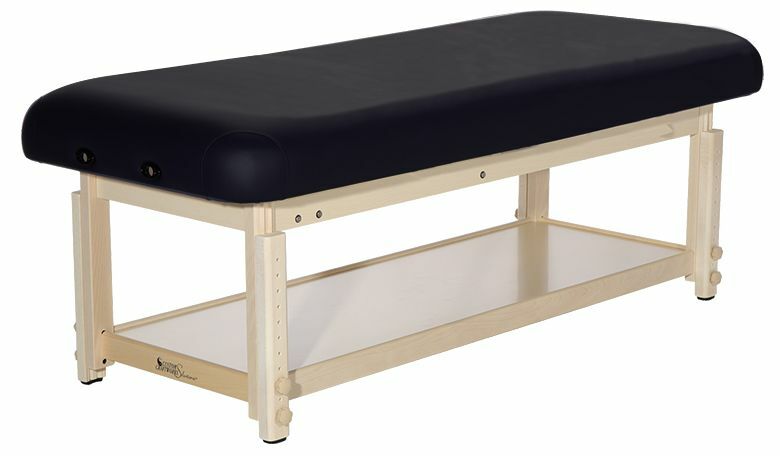 Its classic design includes a solid beech wood frame, easy-to-access storage shelf, adjustable height (24 to 33 inches), rounded corners for ease of movement and 3-1/2" thick multi-layered foam. Some assembly required.